The R&D center pilot line has reached stable operating mode. 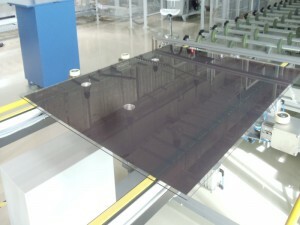 The reached value of micromorph silicon solar module efficiency on the 1100х1300 mm size makes 9.8% that corresponds to values of efficiency of the technology transferred by the Oerlikon Solar company on Hevel plant (Novocheboksarsk). 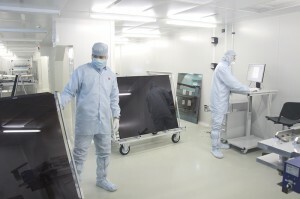 The further tasks of R&D center are improvement of the module parameters by increment of the quality of active layers and interfaces, application of new alternative materials and optimization of the module’s optical design. Another group of LLC Hevel’s technologists (company producing solar moduls is planned a test run for the month of March) is trained on R&D Center TFTE LLC’s process equipment. 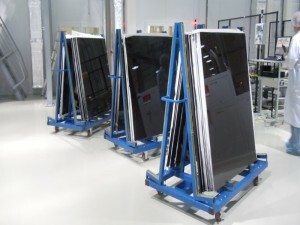 They thoroughly acquaint with the specific manufacturing process consistently throughout solar module’s pilot production line. The knowledge acquired and practical skills experience will reduce start time of production chain with access to designed capacity of 1 million thin-film photovoltaic modules. Yevgeny Kazakov, Hevel’s representative, within the limits of meeting devoted to the energy security of Siberia said that the company intends to implement in the near future in the regions a project for the construction of parks SES (solar power), total capacity will be 254 MW. “As a result of the selection of the SFD (Siberian Federal District), conducted the past and this year, made a decision to construct two hundred fifty-four megawatts of solar generation. Kazakov said: “We assume that next year sales will be as follows: Trans-Baikal Region – ten megawatts, Omsk region – thirty megawatts of Buryatia – twenty-five megawatts, Altai – thirty megawatts”. Hevel’s representative also said that the company plans to construct the Siberian wholesale SES five megawatts capacity, and solar-diesel powers will be offered for remote areas. E.I. 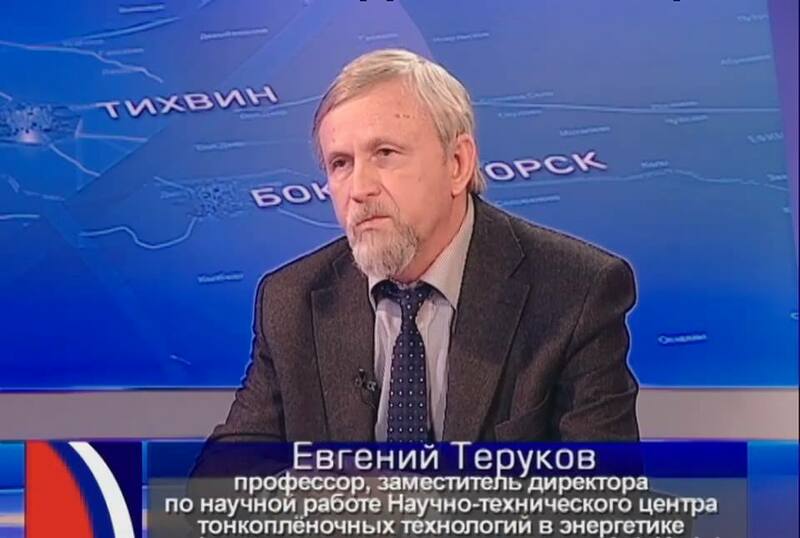 Terukov – Deputy Director General of R&D Center TFTE LLC appeared on TV-broadcast Science and Education in Saint-Petersburg dedicated to alternative energy sources and informed about the development of various directions of renewable energy in Russia, including solar, and the challenges facing the R&D Center in the field of effectiveness increase of solar modules conversion.